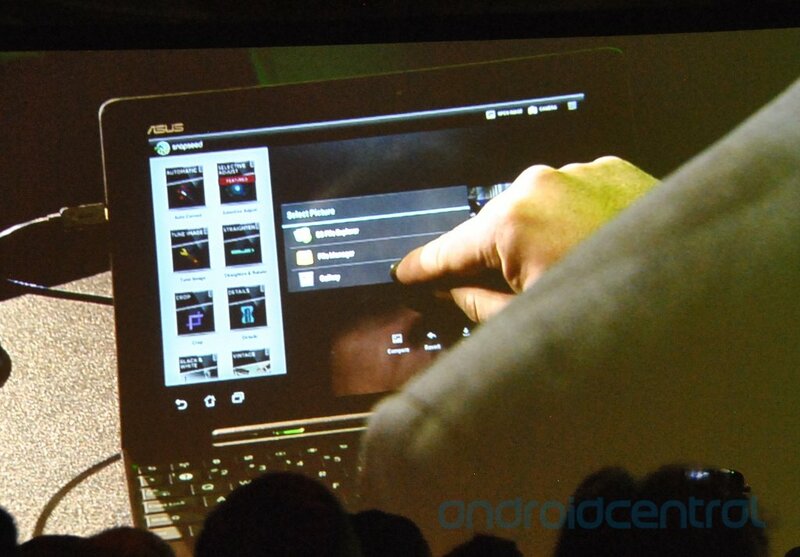 During the NVIDIA presentation this evening at CES, Manuel Wille, developer of the popular iOS application Snapseed showed it off running on the ASUS Transformer Prime. Powerful chips like the Tegra 3 means real-time photo editing works great on Android, and we're excited to see more of it showing up. The application will be available in the Android Market soon (early 2012) for devices running Ice Cream Sandwich and have a Tegra 2 or Tegra 3 chip only, and cost $4.99. A demo video, the full press release and some screenshots are after the break. Las Vegas, NV (Photo Marketing Association, Consumer Electronics Show)—January 10, 2012— Leading photography software developer Nik Software (www.niksoftware.com) today announced Snapseed® for Android tablets. Snapseed elegantly combines Nik Software’s professional photography tools with its award-winning interface and technology. The new version of the acclaimed photo enhancement and sharing app will be initially compatible with NVIDIA® Tegra®-powered tablets running Ice Cream Sandwich (Android 4.x). To learn more and watch videos, visit www.snapseed.com. Drama to make any photo look extraordinary. Nik’s revolutionary U Point technology enables precise selective enhancements to change lighting, color and more by simply touching and swiping the screen. Side-to-side gestures enhance the brightness, contrast or saturation of only the object selected, blending the effect naturally throughout the image. Snapseed offers powerful tools that inspires and enables anyone to create amazing photos. High quality results are now fast, fun, and easy. 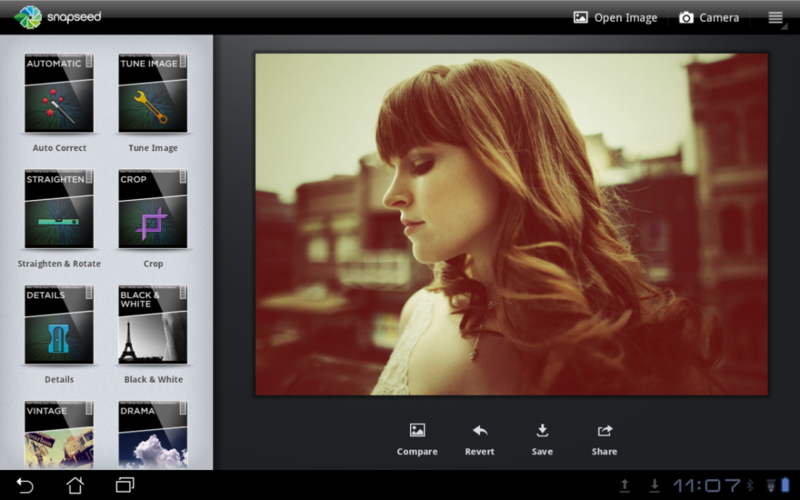 Using Snapseed, anyone can capture, enhance, edit, email and share their photos via social networks in just a few seconds. 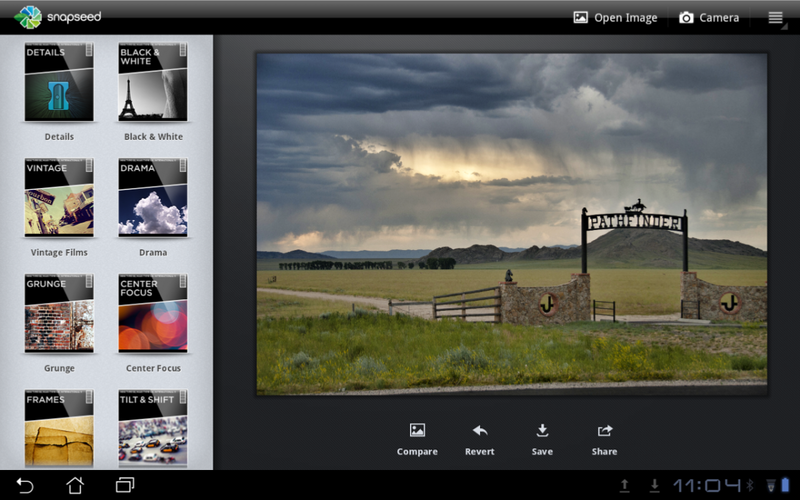 Snapseed for Android Tablets will be available on NVIDIA Tegra 2 or 3-based tablets running Ice Cream Sandwich (Android 4.X). Snapseed will be available in early 2012 in English at the Android App Store for $4.99 or the equivalent in other currencies.